In case you missed it, ACT released four public policy platforms containing recommendations to guide federal, state, and local policymakers through current challenges in K–12 education, higher education, workforce development, and career and technical education. The platforms provide a contemporary view of the changing education and workforce landscape in the context of the pressing need to align these two systems to help ensure career success for all individuals. Follow @ACT and #ACTPolicyPlatforms to engage in the conversation about the platforms. 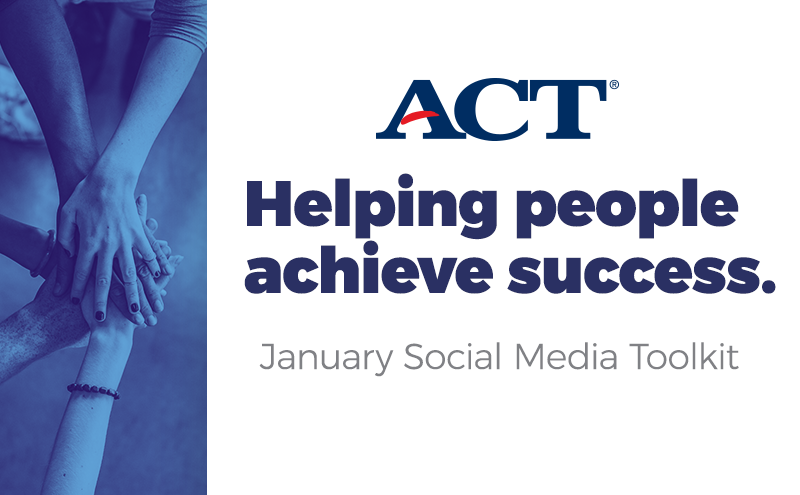 In addition to the policy platforms, ACT announced plans to launch ACT® Academy™, a free online learning resource designed to help students master the skills they need to improve their ACT scores and succeed in college and career. The program will be launched in the spring. Help us drive the conversations that must take place to align education and workforce systems, by sharing the policy platforms and the ACT Academy announcement on social media, in your networks. Thank you for helping support our mission of helping people achieve education and workplace success!